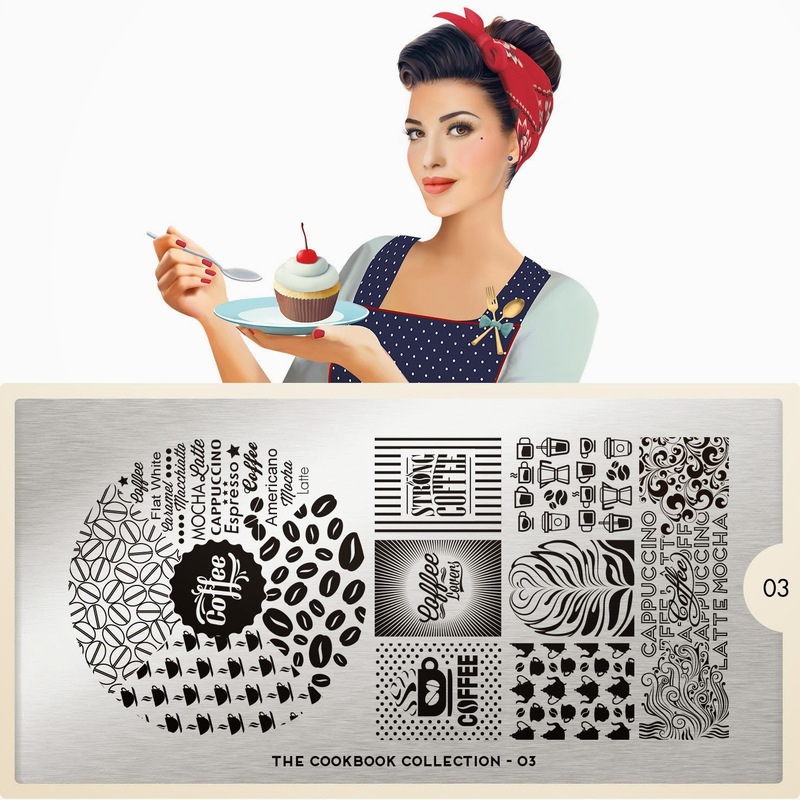 Lacquer Lockdown: Hot Off The Stamping Press: MoYou London Cookbook Collection! 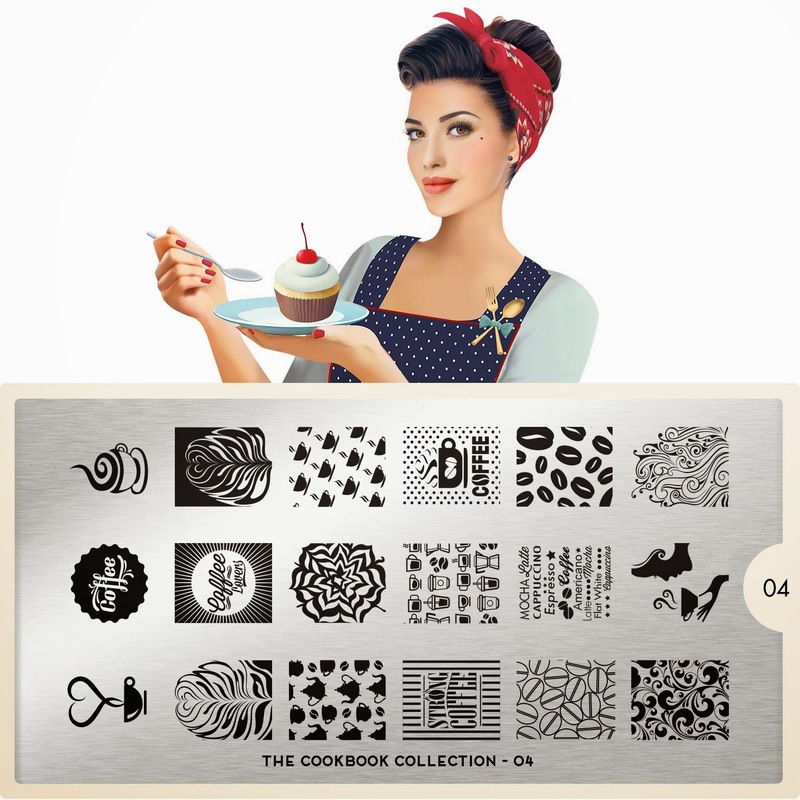 Hot Off The Stamping Press: MoYou London Cookbook Collection! OMG look how freaking adorable these images are! Cherry is the mascot she's also a saucy looking minx. Ok the chef that looks like a monopoly character is killing me. Oh yeah! I have to own this plate or die trying! If there is one thing I live for it's a strong and fragrant delicious. So yes I need my mani to be equally delicious. I am also collecting coffee plates. Messy Mansion makes one that is flawless as well <3! 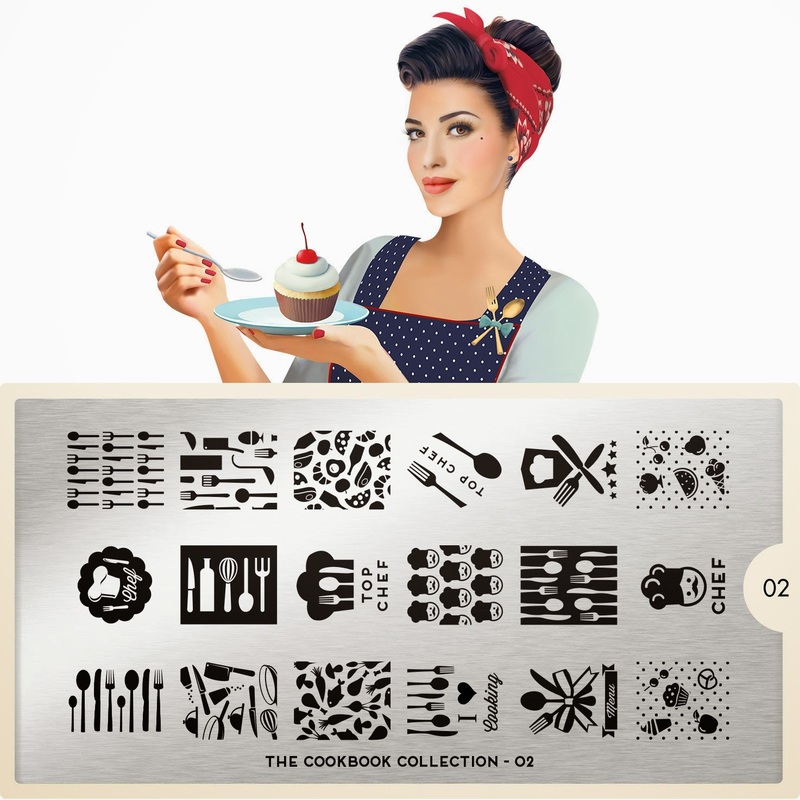 The above plate in miniature! Love it even more for the gorgeous coffee sipping silhouette. How cute! 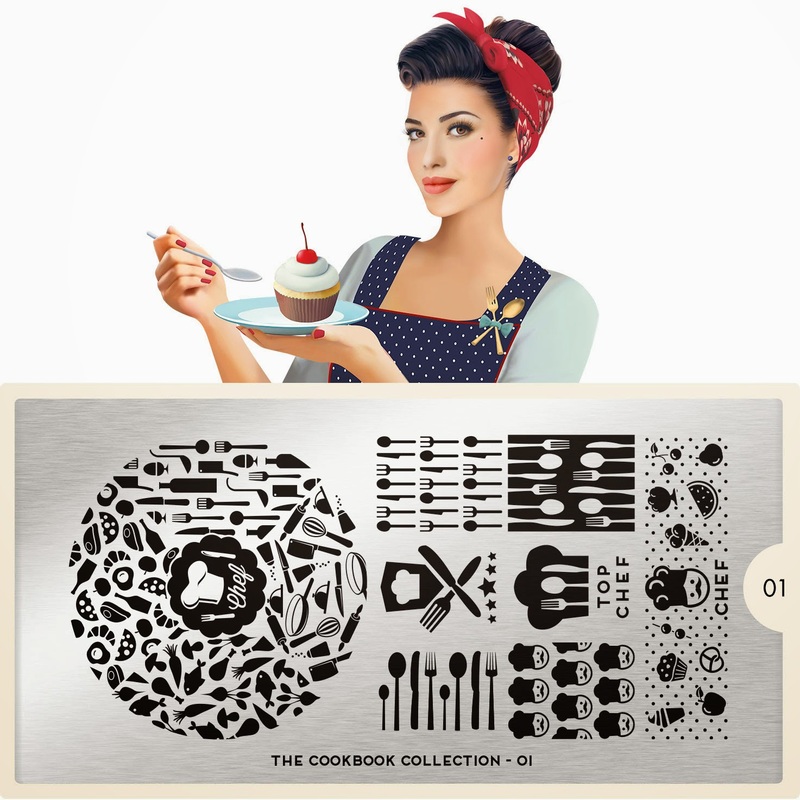 Ok so this collection really is more like an omage to cute food images rather than cooking, but it's really well executed. 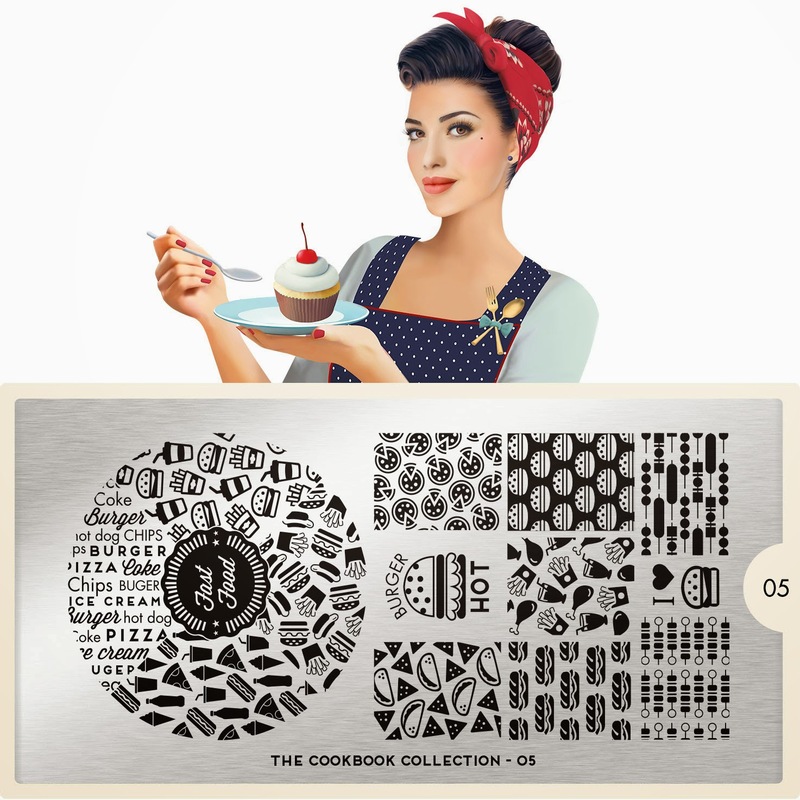 Of course I admit I'm I'm biased since I just think the collection as a whole is just adorable. What do you think?